Interested in becoming a hero for wildlife? Looking for a second career? Consider wildlife conservation! There is no job more rewarding, challenging or interesting. Here are some tips and tricks to consider for your job in the field of wildlife conservation. Perhaps it can help you find your dream career? Remember though, It’s not just a job, it’s a lifestyle! Whether you pursue formal or informal education, it is important that you are educated, well-rounded, open minded, passionate and enthusiastic about wildlife and conservation. If you have access to formal education, study hard and get good grades. However, it is important to note that a degree alone will not make you a wildlife conservationist. The definition of a wildlife conservationist is a person who advocates or acts for the protection and preservation of wildlife and their habitat. There are many fields that can benefit wildlife – not just scientists! For example, lawyers have won court cases that secured legal protection of wildlife, journalists have uncovered and shared many threats to wildlife, educators teach people about wildlife and law enforcement protects wildlife in the wild! Despite your current or future path, many professions can be tailored toward wildlife conservation. Wildlife conservationists work with a diversity of species, cultures and in many different environments around the globe. Prepare for this and spend your free time gathering experiences, absorb information you are passionate about, and travel as much as possible. Life experience can become job experience. Also, it is rare that you will land your “dream job” first. Volunteering or working low paying jobs may be what you need to do in order to have the qualifications required to move forward in your career. The more experience you have, the more desirable you will be for hire. Love reptiles? Work with fish. Love mammals? Take a job with birds. Diversify your skill set and challenge yourself. Sometimes when you work with another taxa, you will learn considerably more by crossing into a new field of study. There’s a saying, “It’s not what you know. It’s who you know.” This can be very true. Wildlife conservation is a competitive field and there are many educated and experienced individuals who are already out there looking for jobs. Therefore, networking is truly key. Travel to conferences, keep in touch with people you meet, attend events, learn people’s names, be respectful and be a responsible person to work with. Always be positive, smile, and laugh. It will take you places. Now that you have those things in mind, it’s time to apply for a job! Below is a list of jobs, internships and leadership programs that have been useful for the Save The Snakes Team. Hopefully they can be of use to you. Good luck! 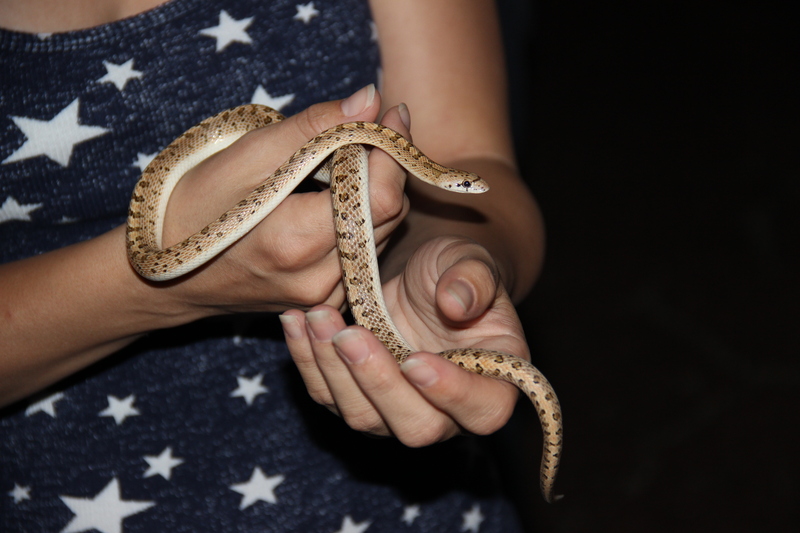 This article was created by Save The Snakes Executive Director Michael Starkey. This list was complied by Michael and colleagues in the field of wildlife conservation. Should we add something to the list? Let us know!